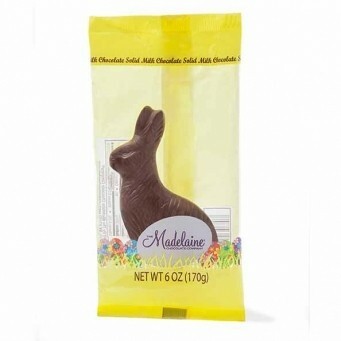 Madelaine Sitting Rabbits (6oz. 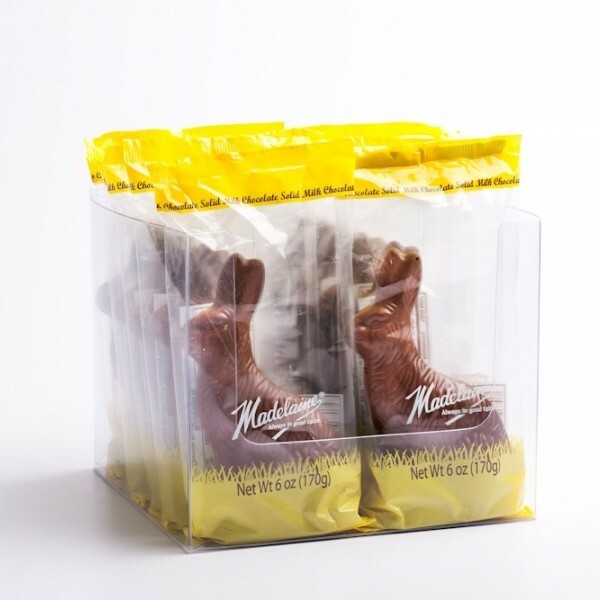 ), solid milk chocolate, highly detailed 5 3/4 inch rabbit sitting on the grass, packaged in cellophane bag. The perfect addition to any Easter basket. Kosher Dairy. Packaged candy comes 12 rabbits per box. If you can't find the candy or chocolate you are looking for, contact us and we will be happy to help you in any way we can.